6 people died in Jongno-Go ... "Residents Most Daily Living Daily Workers"
Six people were killed and 12 injured when a fire broke out at a gymnasium in Jongno-gu, Seoul. At 5 am today, a fire broke out at a Gosiwon near Cheonggyecheon, Jongsu-dong, Jongno-gu, Seoul, and six people were killed and 12 others including a 57-year-old Joomo were injured. Six people were killed and 12 injured when a fire broke out at a gymnasium in Jongno-gu, Seoul. 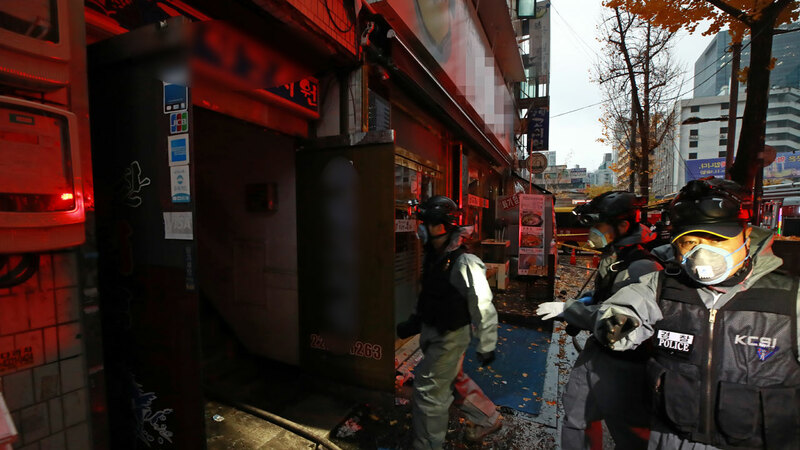 At 5 am today, a fire broke out at a Gosiwon near Cheonggyecheon in Jinsu-dong, Jongno-gu, Seoul, killing six people and injuring 12 others, including 57-year-old Jo Mo. The building that burns out is three floors above ground, one underground floor, the first floor is a regular restaurant, and the second and third floors are a goshiwon. 24 people on the second floor of Goshiwon, 26 people on the third floor, and the age range of the casualties ranged from 40s to 70s. Most of them were living workers. According to the first eyewitness and the complainant, the fire was estimated to have started at the entrance of the third floor of the building. A fire official said, "The entrance was already blocked by the strong fire, so it would have been quite difficult to evacuate." "There is no sprinkler, there is an emergency bell, a stand-alone alarm protector, etc., because the building with the fire is an old building. Police and the fire department are in the process of precise detection, and plan to identify the exact cause of the fire by combining the on-site CCTV and eyewitness statements.